Coming from the mighty north, Mullvard VPN is a small Swedish VPN provider that was founded in 2008 to fight internet censorship around the world and provide internet users with an safe, private environment where they can surf, stream media and share information without any restrictions, censorship or surveillance. Scroll down for more details. 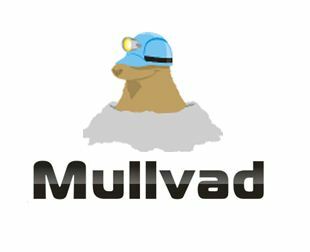 Strangely enough, Mullvad VPN has only 1 package to offer and it is for €5 per month which gives its subscribers access to all features provided by the service. In all fairness, we hope the Mullvad VPN introduces more price packages to be able to compete with other VPN companies in the market that provide lots of different subscription packages to its customers to meet their needs and live up to their standards. However, the price is not expensive considering the impressive features packed within. We were happy to see that Mullvad VPN accepts anonymous payment methods, such as: Bitcoins and Cash. They also accept regular payment methods, like: bank wire, credit card (PayPal), and Swish. We highly recommend using anonymous payment methods, especially Bitcoins as means of security to protect your personal and sensitive payment details. Mullvad offers a 3-day free trial which is not enough to test and explore the full potential of the VPN provider. But it would be barely enough to go through the features, and test the client and speed of the Swedish rodent. As expected, Mullvad does not offer a money-back guarantee. We think that they should make that policy available in the future since they provide a trial period of the size of a mole. As previously explained, it is very evident from their level of encryption (4096-bit RSA and 256-bit Blowfish OpenVPN encrypted servers that use DHE for more security) that Mullvad respects internet privacy. Further, it also suppoerts Wireguard encryption. To strengthen their security levels, Mullvad is also equipped with a “kill switch” and a “DNS leak protection” to prevent the exposure of your data traffic by any means possible. Mullvad VPN is fully compatible with the following platforms: Windows, OSX, Android, iOS and Linux. This means that Mullvad can be used on many devices that support OpenVPN, such as: desktops, laptops, smartphones and tablets. Mullvad VPN has a total of 82 servers strategically spread across 20 countries, mainly: USA, UK, Australia, Canada, Denmark, Spain, Germany, France, Singapore, Sweden. Although, they might seem short on the number of servers, but they do know how to pin point them to provide a fast and restriction-free VPN service. Maybe Mullvad takes their dedication to privacy and anonymity a little too far as the only way to reach them is by email. They do not provide 24/7 live chat support, but they do have a very clear F.A.Q section, in addition to a blog and news section. In spite of being a small company, Mullvad VPN has definitely earned our approval. This little rodent is packed with a lot of impressive features at a very reasonable price. We admire their dedication to complete anonymity and privacy on the internet. On the other hand, we think that they need to improve their customer support to include more interactive forms, such as: live chat support. Moreover, we also think that it would be better if they add more price plans for different types of users.